We enjoy writing posts that can help you improve your display. HAE wants you to be the most successful artist that you can be. 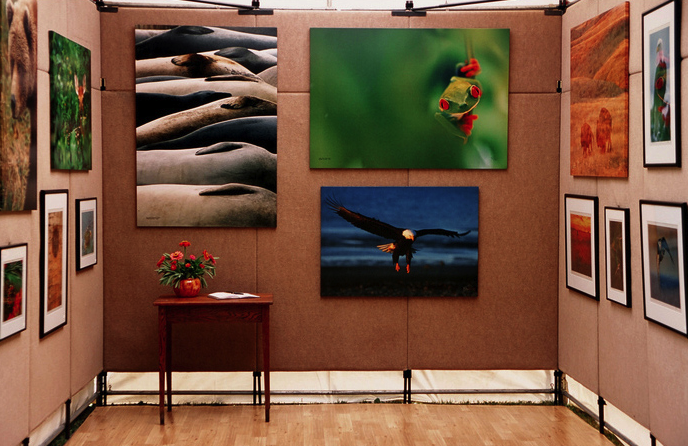 Other than having incredible talent to produce artwork, you need to have a great display. #1 – A great display is needed for the jurying process. This is because your juried score is based on your artwork AND your booth display. 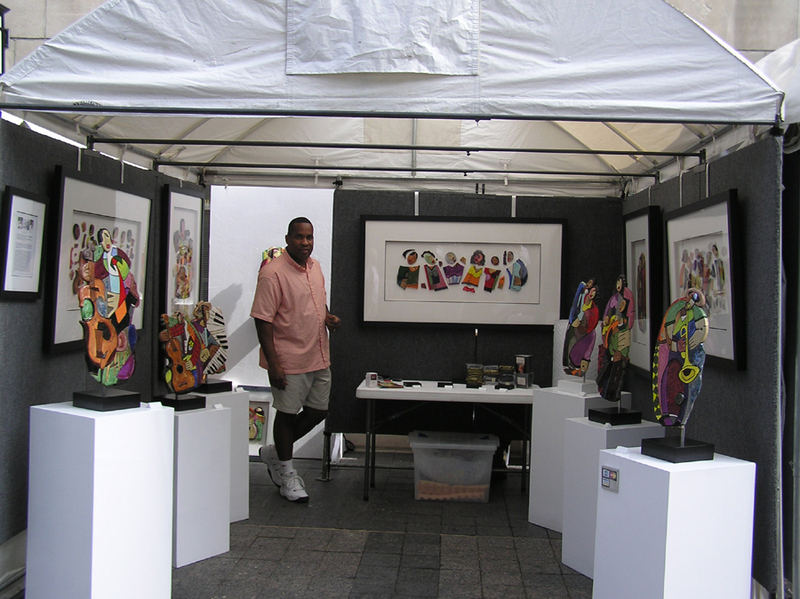 #2 – Before your artwork, the patron will notice your booth display first! You need to make it inviting. We receive many questions daily about how to improve booth displays. We have very helpful information on our website HERE. However, a big concern for many of our artists is where to find certain parts of a display (ie. pedestals). We found a very resourceful website of where you can purchase pedestals – Click HERE. Why are pedestals useful in your display? 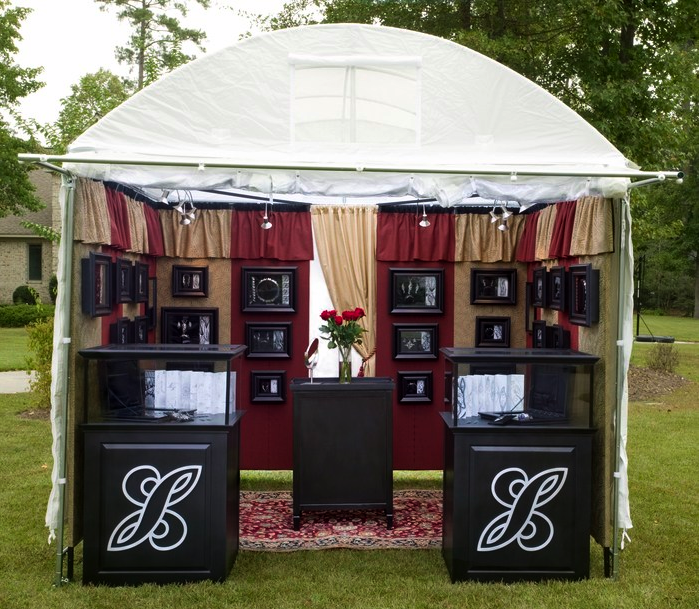 #1 – They are perfect for jewelry displays: they create depth and a “gallery-like” feel. #2 – Pedestals are a necessity for a “flexible” space. 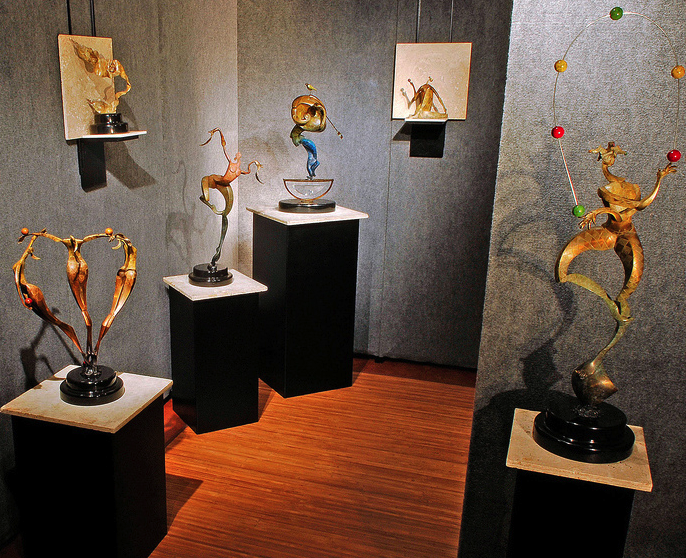 We have many artists who set-up their sculptures and glass figures on pedestals. We hope you found this post helpful. Please let us know if you have any questions – you can contact us at 561-746-6615 or info@artfestival.com. How Are You Going To Improve Your Booth Display? We wanted to let you know, that if you need suggestions for improving your booth display… you are more than welcomed to email us a photo of your current booth display. Even though your artwork is an important part of being juried into a show… the booth display is just as important! Like we have said before, the booth display is what will initially draw the customer in! Even if you have a fantastic booth display, but haven’t changed it up in many years – you should still look into revamping your display. It’s similar to walking into your favorite store, you don’t want to see the same lay-out time after time! An exceptional 2D booth display. 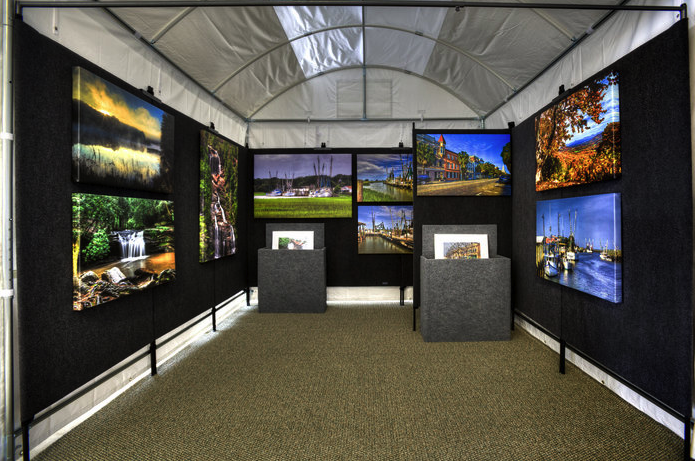 So, if you would like an opinion on your booth display OR just need help with improvement, send a current photo of your booth display to info@artfestival.com. We are more than happy to assist you in any way that we can! Don’t forget to follow us on Facebook & Twitter for all the latest information about our art & craft festivals. We found a very helpful website that we would like to share with you. We have received many calls in regards to display equipment and where to find it. 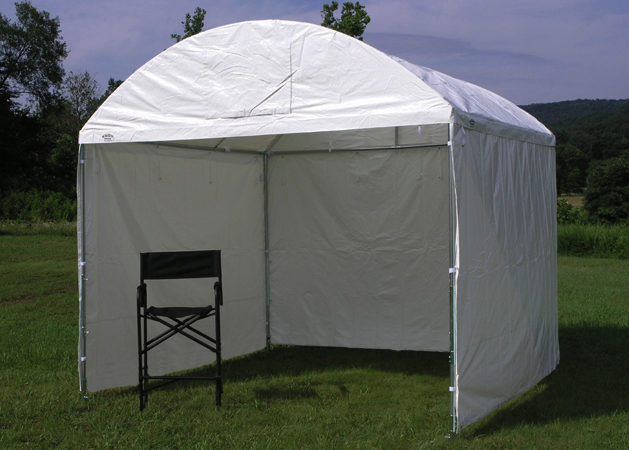 We stumbled across this website, which gives you information about: display tents, propanels, hangers for propanels, bins, Hollywood chairs, etc. We hope you found this post helpful. We are always looking for ways to help our artists! Kudos for Great Booth Displays! We know that artists love any help they can get with booth displays. Other than the artwork, the booth display is very important and crucial! You can check-out our Display Requirements page on our website HERE. More Examples of great booth displays can be found HERE. If you have any questions about this post, please contact us at 561-746-6615 or info@artfestival.com. Why Does Your Booth Display Matter? 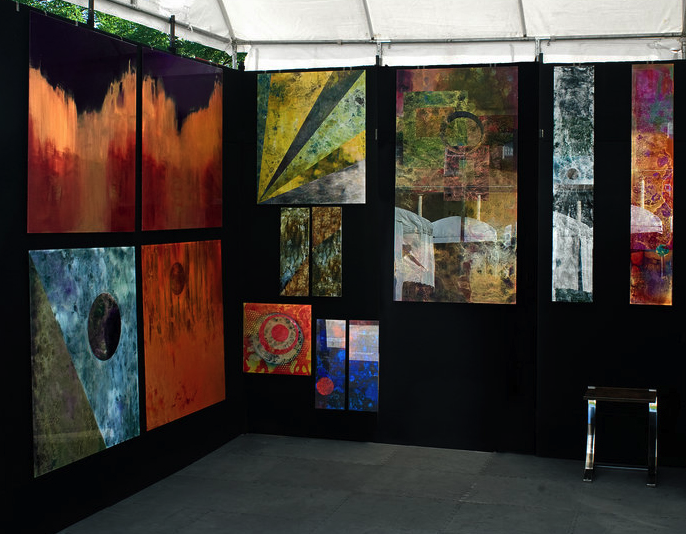 When patrons walk around art and craft festivals, many of them observe how the artwork looks in relation to the way the artist displays his or her work. A display can indicate to a patron about an artist and the value he or she has in their own art. To some artists it may not seem to be of much concern but it can be an asset or liability to your sales. The way an artist presents their art at an art festival is very important because you want to present yourself as a reliable person and a professional artist. You want to make sure that when people see your work they see quality art from a quality artist. Additionally, it’s also important to have a great booth display for when you are trying to get juried into a show! 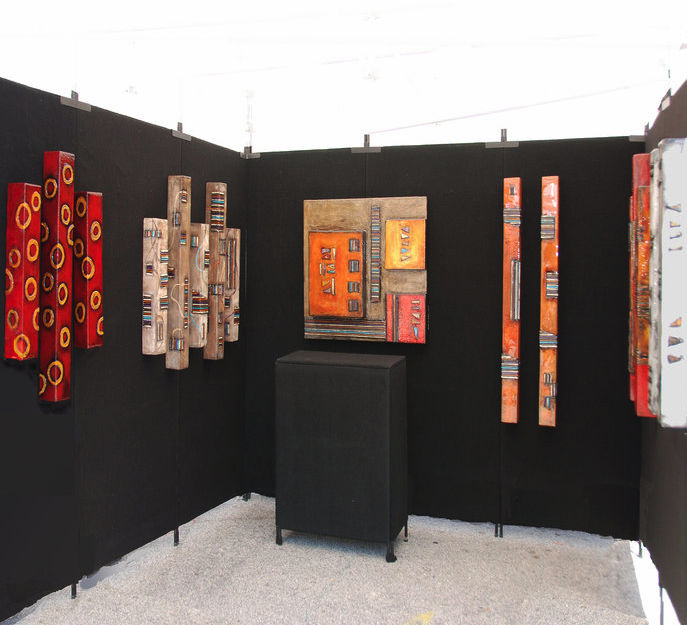 For a Howard Alan Events Art Festival or an American Craft Endeavors Craft Festival, the display is just as important as the work, itself. (1) “Display Requirements” for our Art Festivals can be found HERE. (2) “Display Requirements” for our Craft Festivals can be found HERE. (3) “Booth Display Examples” can be found HERE. If you have any questions about this blog post, please don’t hesitate to contact us at (561) 746-6615 or info@artfestival.com. 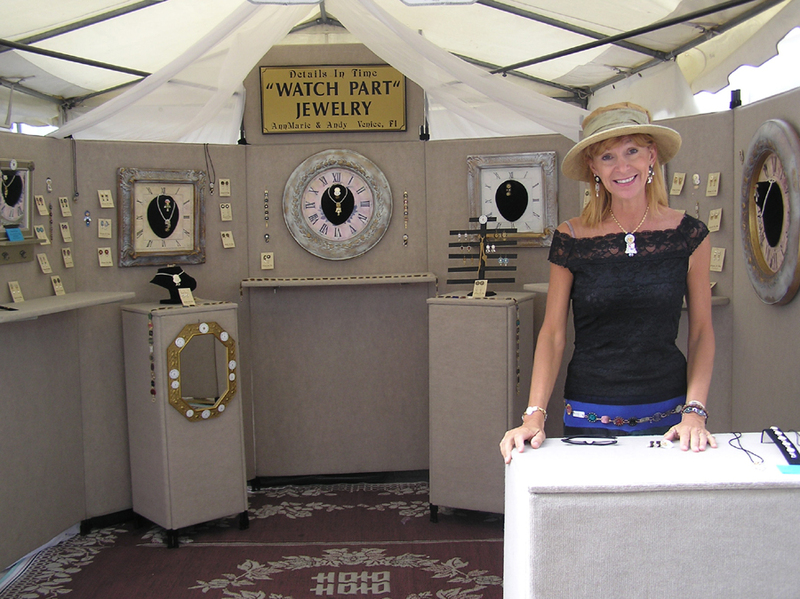 Several blogs ago, we gave a description along with several pictures of great jewelry displays. As you may know, your display is very important (in many different ways). 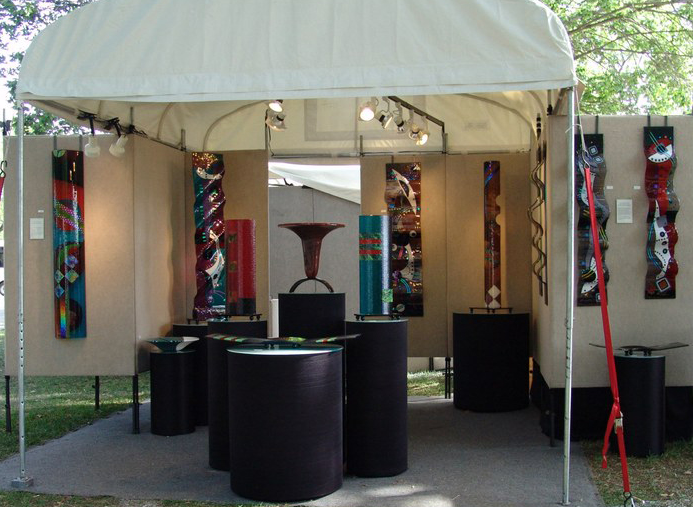 First, your booth display is very important for your juried score to get into an HAE Art Festival or ACE Craft Festival. You may have the most beautiful work, but if your display is not great, you will not get invited to our show. Not only is your booth display important for your juried score to get into the show, but also it’s the first thing a patron will see! 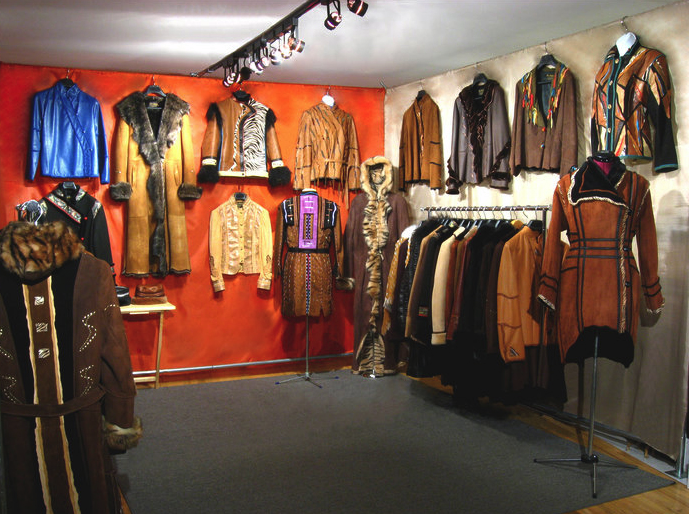 It may be the deciding factor of whether or not a potential customer walks into your booth. We have great examples of jewelry displays HERE. All of the pictures above are fabulous examples of booth displays. If you need help with a display, you could always call our office (561) 746-6615. We would be more than happy to assist you in any way that we can! Follow us on Facebook & Twitter for all the latest information on our Art & Craft Festivals. If you haven’t checked out our website with our examples of beautiful jewelry displays along with a description, then you must! 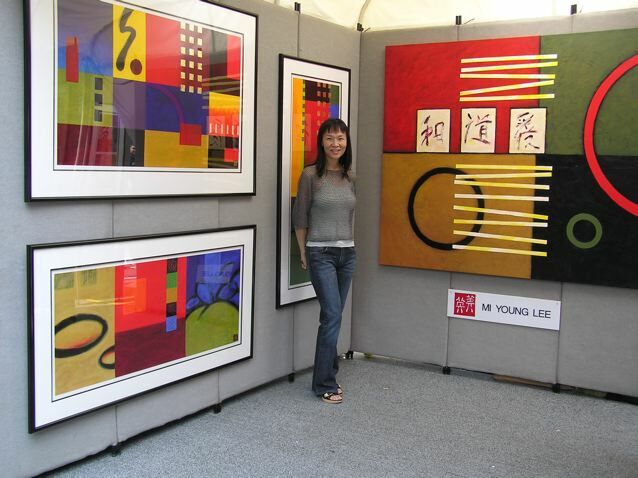 It’s very helpful for those who haven’t exhibited in one of our shows before or who are new to the Art Festival world. 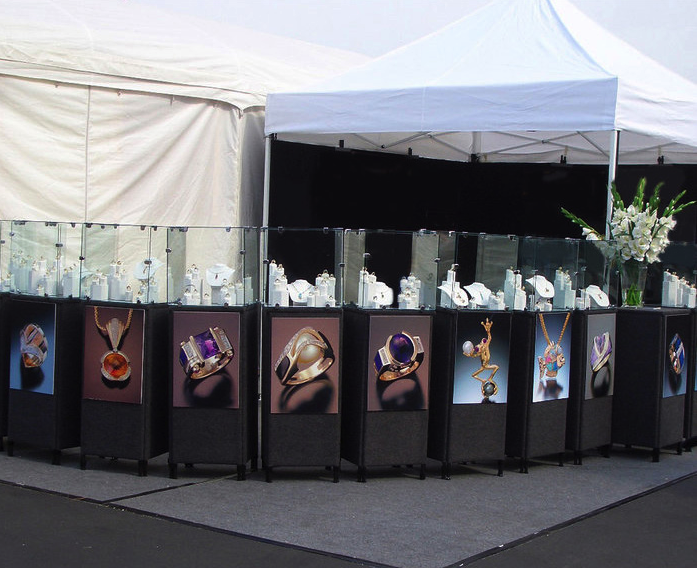 For jewelry displays, we believe that anyone can use tables and velvet necks in their display. We want your display to look like a mini art gallery. It needs to stand-out! What we find most attractive in jewelry displays are wood or mica units, with or without glass, with either coral, stones, or other beautiful materials. If you know of a certain place where other artists can obtain the display cases you see in each photo above, please share! 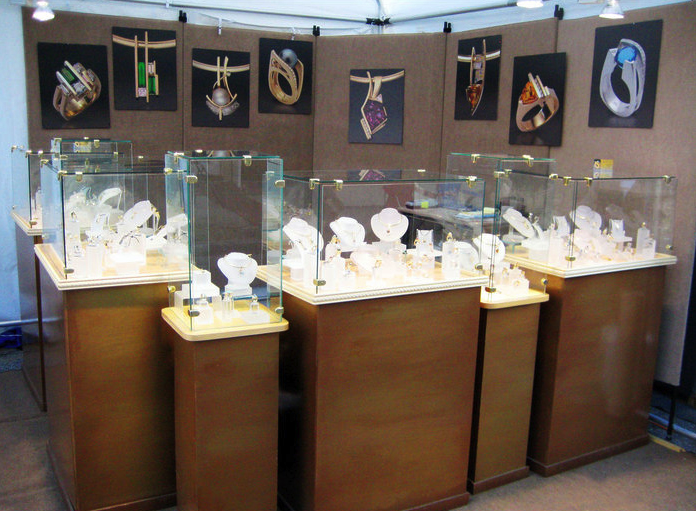 We do know that many artists have made their own jewelry display cases! If you would like to see more examples of incredible jewelry displays, click HERE. Don’t hesitate to contact us with any other questions! 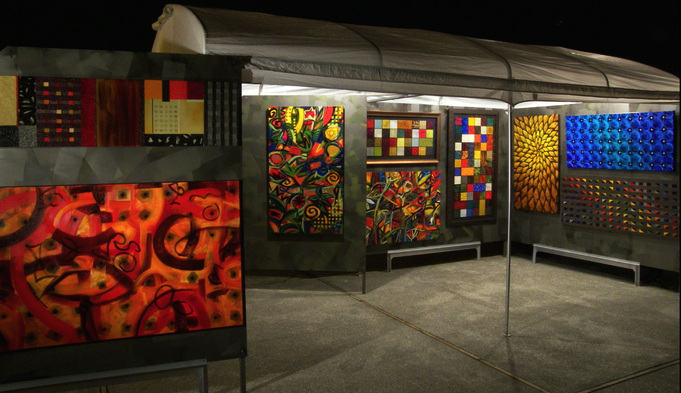 You can call (561) 746-6615 or email info@artfestival.com. Follow us Facebook & Twitter for all the latest information on our Art & Craft Festivals.